The option to put a phone on vibration or mute when you don’t want to be disturbed by calls and notifications is almost as old as time itself (okay, we exaggerate, but you get the gist). However, we have all been guilty of putting our phones on mute and forgetting to put it back on vibration or ring mode, sometimes missing important alerts in the process. Do Not Disturb modes on smartphones have alleviated those troubles by giving us the option to schedule those moments of peace and quiet, but did you know Galaxy smartphones come with a temporary mute feature? All Galaxy phones running Android Oreo have the feature, although it does seem to randomly be available on some devices on Android Nougat as well. Yes, we’re aware that some of you may already know about the feature, so this is for those who don’t. On Galaxy smartphones that run Android 8.0 Oreo (and soon, Android Pie), you can mute the device for a custom number of hours. You can choose from as little as one minute to 24 hours, and the phone will come back to the previously selected sound mode (sound or vibrate) after that time period has elapsed. This works great in tandem with do not disturb mode, if you wish to completely silent the phone for a little while without changing your regular do not disturb settings. And, well, it’s great for those who do not wish to use do not disturb mode and just prefer simpler options. Step 1: For the initial setup, we’ll do this from the Settings app on the device. Open the Settings app, tap Sounds and vibration, then tap the Sound mode option. Step 2: Now, before you can see the temporary mute option, you have to tap on the Mute option first. Once you do that, a Temporary mute option will show up just below. Step 3: Enable this Temporary mute option. This will show yet another new option called Mute duration. Step 4: By default, the mute duration may be set anywhere between 1 to 3 hours, but you can customize this by tapping on the Mute duration option and selecting the Custom option. Just adjust the hour and minute fields to your liking and then hit the Done button. Step 5: That’s it. You will now see the Mute option selected and your selected duration mentioned alongside it. It will count down like a timer, so you can always check how long the mute option is going to stay enabled. 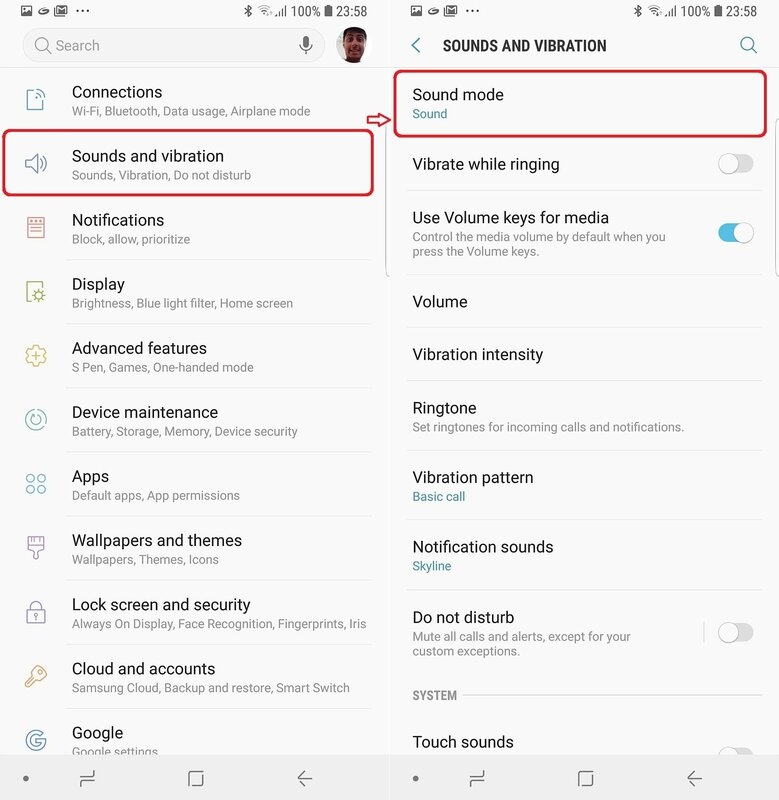 Once the mute duration completes, the phone will go back to the sound or vibrate mode depending on what was active before you activated temporary mute. That’s it. From next time, you can simply swipe down the status bar twice to access the quick toggles and use the sound toggle to set temporary mute (you first have to select mute, followed by enabling the temporary mute option every time). For changing the mute duration, you can go back into the sound settings and make the necessary adjustments. Finding out about the temporary mute option only now? See what more you’re missing in our tips and tricks section. Buen dia. Perdón por escribir en español, pero es mi idioma materno. Uso mucho este sistema de silenciado (mucho más que el tradicional No Molestar). Me funcionó muy bien aplicarlo desde la barra de toggles y al día siguiente volvió todo a la la normalidad y teniendo un A5 17, se agradece, porque a la noche quiero tener el celular encendido, y sin molestar a nadie porque todos están durmiendo. This works for me from the settings menu but does not work from the quick toggles. After successfully completing a temporary mute from settings, if I select mute from the quick toggles, it stays on mute. At that point, going into the settings menu confirms that the sound is set to mute and the temporary switch is in the off position. What am I missing? It’s exist in android pie. No such option on my tab a 2017 android 8.1. I dont have that. I am using note9 with 8.1.0 with 9.5 Ui (n960fxxu2ari4) and dont have that option??? Any help? Are you following the steps correctly? Select Mute first, then the temporary mute option will come up. It surely is there on the Note 9, on Android 8.0 and 9.0 both. Once I toggle the sound option from Mute to Sound and return to Mute again from the toggle the temporary Mute setting is gone. The phone does not remember that previously Mute was set. Let me know if you see otherwise. Are you saying it doesn’t remember that temporary mute was on after you go back to sound? Then yes, you do need to select mute and then temporary mute every time, it won’t remember that you used temporary mute the last time, only the mode you used before temporary mute was enabled. I am using Galaxy J5 2016 and I also have got this feature with the Nougat update.